I just adore baby's! Especially new ones that bless our family with their birth...I have a new Great Nephew named Aaron! 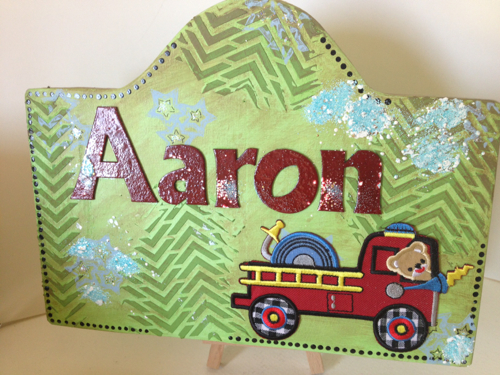 I created this name plaque for him to welcome him too the family. 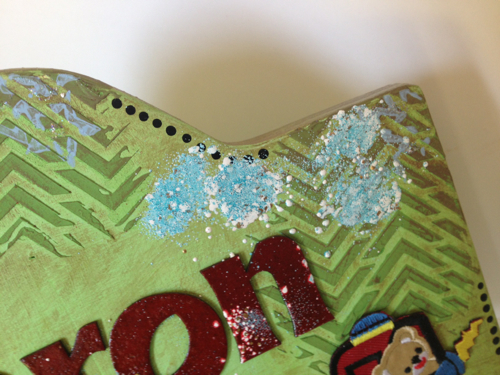 I incorporated this weeks color theme at Hiding In My Craft Room of Red and Green into the plaque. 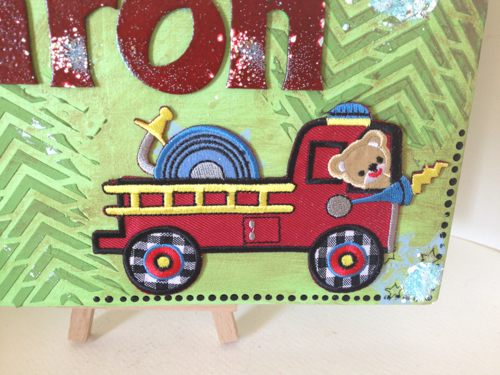 Embossing Powders: Ranger, Rich Red (used on Chipboard Letters), Recollections Glacier Blue, Stampendous Shabby White, Glitter, Stickles, Chipboard Letters, Ranger Enamel Accents, black, Simplicity: Iron On Firetruck Appliqué.